The lovely view of the mountains from the door of the show hall. 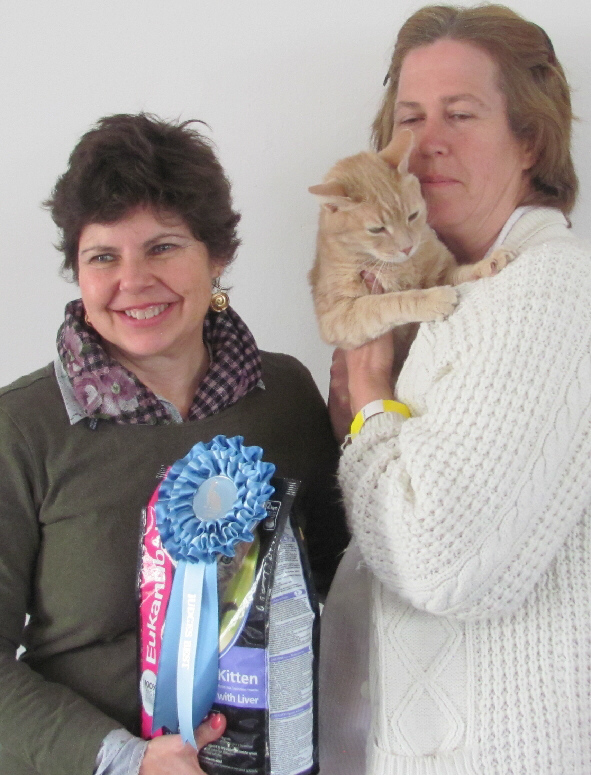 On a chilly, but bright Spring day, the OSRBG again joined forces with another Independent Cat Club, the Chats du Cap Independent Shows, to stage a combined show event at the Robertson Agricultural Spring Show. The Robertson Spring Show has its roots in 1899 and is visited by droves op people who come to admire the horses, farm animals, poultry and enjoy all the other attractions offered by such a traditional agricultural show. It was a great honour to be associated with this event with such a long tradition in the Breede River area. The show was successful and enthusiastically visited by large numbers op people who came to admire the cats. The next door hall held the poultry exhibition and many cat owners were amazed to find the equivalent of their breeds at this show. See a few pictures in the slideshow below. We are looking forward to further co-operation in the future, bringing pedigreed cats and responsible pet ownership to a public who would not normally be exposed to a Championship Cat show. A very special feature of this show was that many families attended as exhibitors. There were cats from as far as Port Elizabeth, as well as local cats entered. The CDCI show ran a special competition for City Cats vs Country Cats, while the SAC@TS Ring show which followed the OSRBG show also included the first "Extreme Cats" competition in the country. The format was the same as other Independent shows, with one Judges Best per judge and one Overall Best on Show. Our show was generously sponsored by Eukanuba. This was in the form of sponsorship of the printing, the prizes, the rosettes, as well as a lovely gift for every exhibit on show. The stall was staffed by three representatives who had lots of information for the large number of public visitors. Cats Best generously sponsored the prizes for winners with packets of their excellent litter, scoops and cat toys. View the slideshows and share the happy event with us. Download the Combined Show Catalogue of the CDCI 1st show, OSRBG 6th show and SAC@TS 6th show in PDF format.